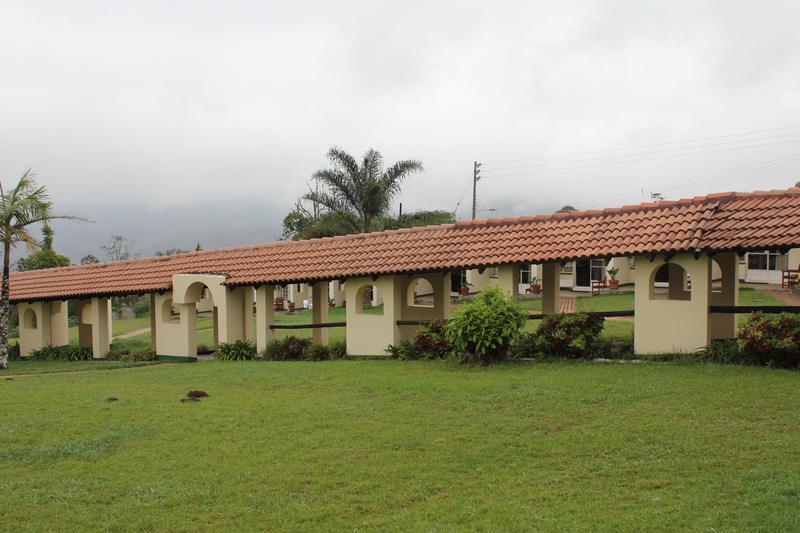 Mbabane’s finest hotel may not be much, but I enjoyed our night at this family-run property and recommend it for a break from Swaziland while you are in Swaziland. Allow me to explain. I talked about driving through Swaziland but keep in mind that this is a very poor country, with limited infrastructure and per capita income of less than $4,000 per year. Thus, to escape to a $100/night hotel with comfortable beds, comfort food, and wi-fi, was a welcome oasis. And yet both my wife and I could not help feeling a little guilty when thinking about how far that money could have gone to provide for a family. We are talking about two week’s wages blown on one hotel night. Perhaps due to our late check-in, we were assigned a suite with a bedroom, second small bedroom, a living room, and two bathrooms. The furniture and carpets were a bit tattered and the bathrooms were not in the best shape, but the room felt clean enough. A wi-fi voucher was provided at check-in and worked reasonably well in the room. The hotel has an Irish Pub which appeared to be the expat hangout of Mbabane because the restaurant was full of white people and we did not see any others our entire time in the country. The wait staff was all black with the white owner barking orders while tending the bar and I witnessed something that made me very sad. There were two French women sitting next to us and apparently they were not familiar with the concept of signing for something in a hotel. Their dinner bill came and they were asked to sign for the food they consumed, with their waiter noting the dinner would not appear on their hotel bill because they booked a rate that included dinner. They refused to sign, rudely saying they would not sign for something that was free. Yes, she did. She really did. Disgusting. Another waiter came over and tried to explain to them that the hotel and restaurant were two separate entities, but that if they booked a rate including dinner, it would be removed from their bill. Still they refused, claiming they had never heard of such a thing and storming out, not even leaving a tip. Dinner was actually very good, one of the best meals of the trip. A buffet was offered for 150 Rands, about $15, which while exorbitantly pricey for Swaziland was a great buy. Not only were soups, salads, breads, pastas, and other starches offered, but also succulent prime rib, roasted chicken, ham, and beef spare ribs. Mbabane is high on a mountain and it was cold and rainy that night…very much unlike the rest of the trip. We returned to the room and slept well. The following morning we had breakfast in the hotel’s upstairs dining room. It was buffet-style and included in the rate. Unlike dinner the night before, it was not great, but was satisfactory…items were not often refilled, so when the eggs ran out I had to ask for more eggs after waiting 10 minutes and seeing the pan remain empty. Coffee was not self-serve but also not proactively refilled. Heidi is quite the coffee drinker and it was a struggle to get her cup refilled since the waiters appeared to be busy doing nothing. Despite the poor breakfast experience, we really were happy with the property overall and I do recommend it if you ever find yourself in Mbabe overnight and need a break…but please treat your fellow mankind with respect.